An ‘unusual odor’ inside a classroom prompted the evacuation of School 10 on Thursday morning. Firefighters arrived at School 10 on Mercer Street at about 9 a.m. on report of odor of gas. On recommendation of fire officials, all students are being relocated to School 18, announced the school district in a robocall to parents. Public safety director Jerry Speziale said firefighters determined the odor was coming from the basement. He said firefighters located the culprit: canisters of peppermint oil. “It’s not a noxious gas, but it does have an odor,” said Speziale. A teacher felt ill and was taken to St. Joseph’s Regional Medical Center, he said. The oil canisters are being removed from the school, said the director. Speziale said fire officials used a meter to check for gases. Results were negative. He said heating system had to be turned off as a precautionary measure. Extra security has been sent to School 10 to ensure safe passage of students to School 18 which is 1.2-mile away. Lunch and instruction will continue, according to the robocall. 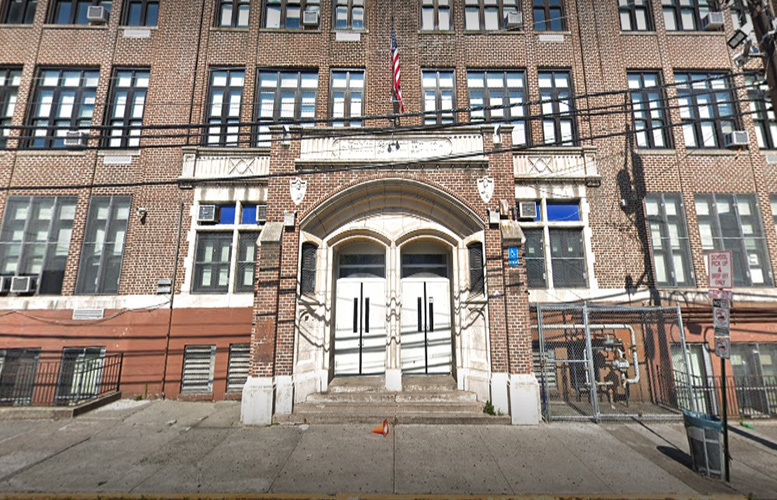 “All students are safe and Schools Superintendent Shafer, district facilities officials, and Passaic County health officials are on the scene,” said Paul Brubaker, spokesman for the school district. Speziale estimated 600 students had to be moved from School 10 to 18.